The high selling bull from our 2016 sale going to Dan Wassen of Selden, KS. 5041 embodies our strategy on hybrid seedstock. 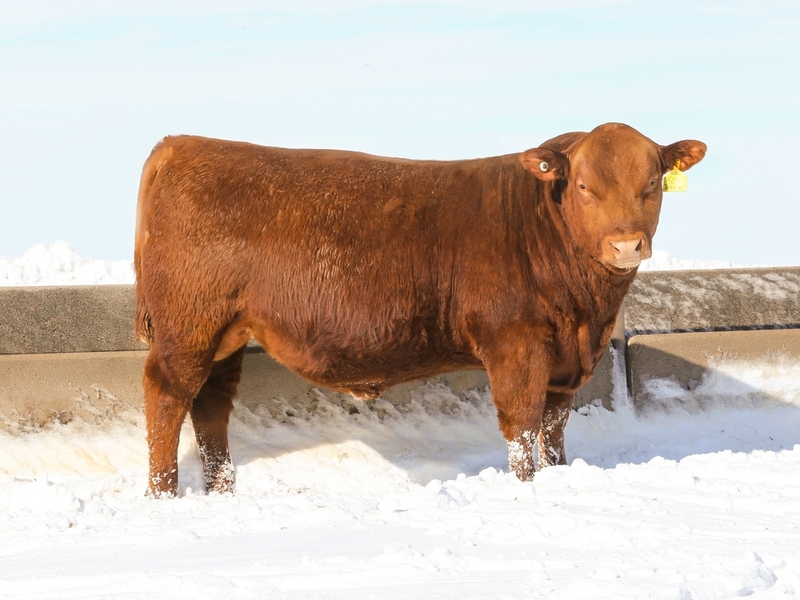 We combine two “Rock-Solid Accuracy” sires in the same pedigree: Schuler Rebel 0029X, who ranks in Red Angus’ top 1% Calving Ease, Top 3% HerdBuilder, Top 5% Stayability, and Top 6% Marbling, and WS Beef King W107, who leads Simmental with best 2% API, top 5% Maternal Calving Ease, best 2% REA, and top 4% YW.